Description : Official Slone art limited edition onsite poster commissioned for the Light/Welterweight title showdown at the Thomas & Mack Centre in Las Vegas. Ricky Hatton was forced to relinquish his IBF title again on 10 February to be able to fight Castillo. 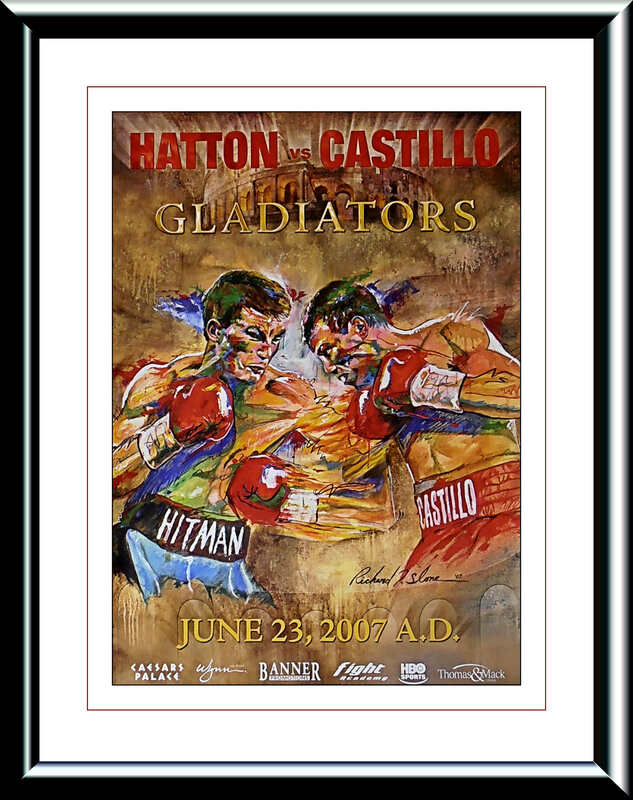 The fight was held on 23 June 2007, at the Thomas & Mack Center in Paradise, Nevada. As per usual Ricky took around 10,000 fans with him from England. 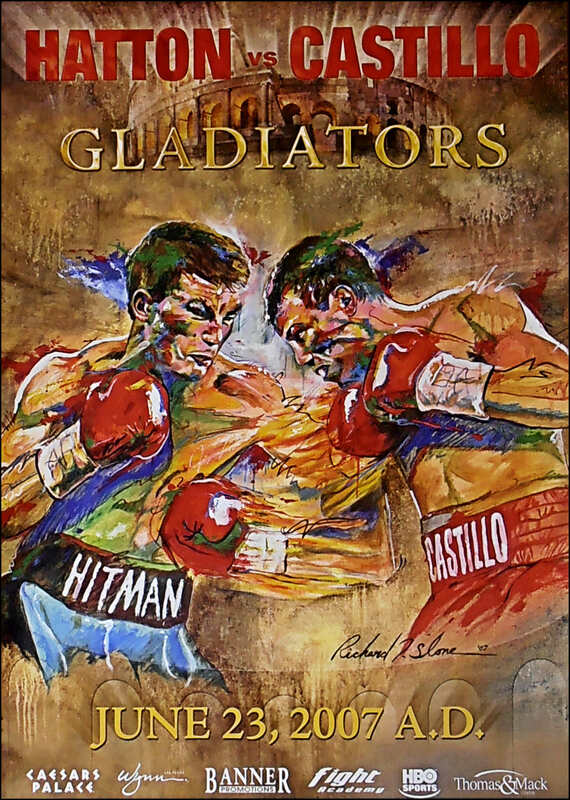 Jose Luis Castillo was the former WBC Lightweight Champion who now had to move up into the higher division due to age & weight making problems, he was soon to be put to the sword by the dominant fighter of the division. 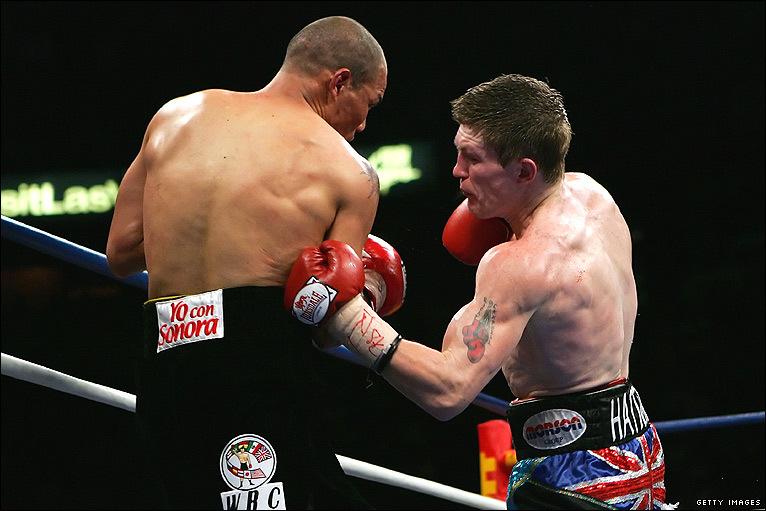 In round four, Hatton landed a "perfect" left hook to the liver, which put Castillo to the canvas. Ricky later claimed that 4 of Castillo's ribs were broken with this one punch. Unable to stand up, Castillo was counted out for the first time in his career.